The permit from the Public Utilities Commission is a milestone in Central Maine Power's effort to build the 145-mile project to deliver renewable energy from Canada to Massachusetts. HALLOWELL — The Maine Public Utilities Commission voted Thursday to grant a key certificate to Central Maine Power’s controversial, 145-mile transmission line through western Maine. The three commissioners unanimously agreed with a PUC staff report that the economic and grid reliability benefits of CMP’s proposed $1 billion transmission line outweigh harder-to-gauge impacts on scenery and outdoor recreation in the western Maine mountains. In granting a “certificate of public convenience and necessity” to the New England Clean Energy Connect project, the commission endorsed a settlement agreement that provides $258 million in financial incentives to the state, communities and electric ratepayers in Maine. The decision represents a major initial victory for CMP and its partner, Hydro-Quebec, on a proposal to build a high-voltage transmission line supplying Massachusetts with renewable energy. 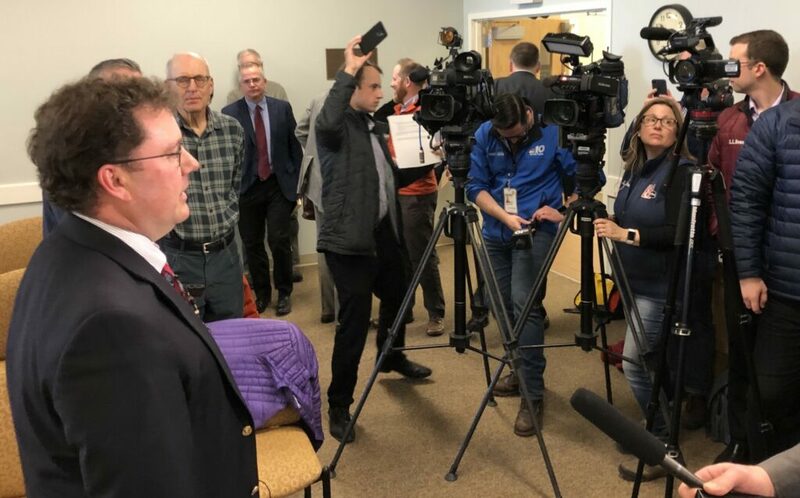 “I think the end result is a good result for Maine ratepayers and a necessary one to continue to meet the energy infrastructure needs of both Maine and the region,” said Commission Chairman Mark Vannoy. But while a CMP official said the company was “thrilled” by Thursday’s vote, the project is still under review by the Maine Department of Environmental Protection, the Land Use Planning Commission and the Army Corps of Engineers. And the project’s numerous opponents are vowing to fight at every step. 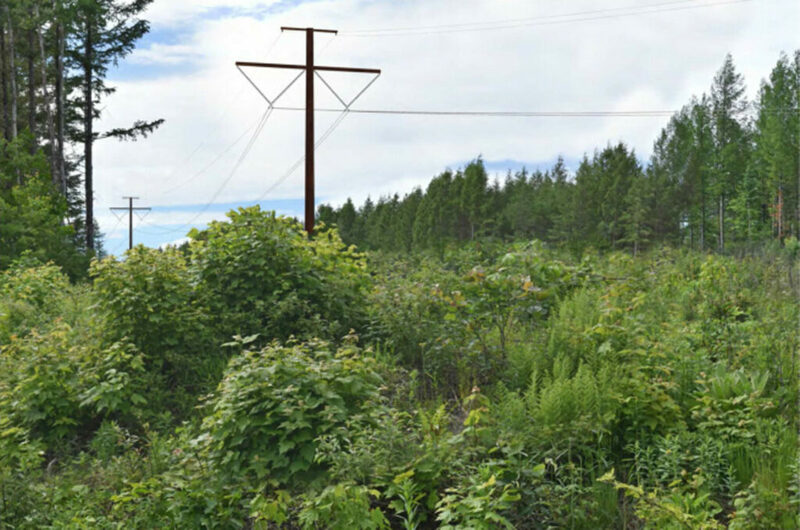 CMP is seeking authority to built 145 miles of high-voltage lines along a 150-foot-wide corridor stretching from the Maine-Quebec border just north of Coburn Gore to a power station in Lewiston. Along the way, the line would cross under the scenic Kennebec River Gorge but would also cut across the Appalachian Trail as well as lakes, rivers, streams and wetlands all along the corridor. For supporters, the project offers 1,200 megawatts of clean energy that will bolster Maine’s rural economy, lower electric rates and reduce New England reliance on fossil fuels while combating climate change. For critics, it’s a greedy money grab for foreign developers, etching a 150- to 300-foot-wide scar that would run 53 miles through Maine’s western mountains to help Massachusetts meet its renewable energy goals, while falling short of delivering the promised benefits for Mainers or for the planet. Critics have seized on those potential aesthetic and environmental impacts to oppose a project that they predict will harm the economy of a rural region heavily dependent on tourism. Critics also question whether the project will dramatically decrease emissions of greenhouse gases tied to climate change. Vannoy, as well as fellow Commissioners Bruce Williamson and Randall Davis, acknowledged the project will impact scenery and recreation along the corridor but said the benefits outweigh the negatives. They disagreed with arguments that the project will not reduce greenhouse gas emissions and agreed with PUC staff that CMP has demonstrated sufficient public need or interest to give the project a green light. CMP has been losing ground in the public fight over the corridor in recent months as town after town in western Maine voted to oppose and, in multiple instances, rescind previous support for the project. The project received a significant boost in March, however, when CMP, Hydro-Quebec and several parties negotiated a settlement or “stipulation” agreement that sought to sweeten the deal financially for the state. That package offers $258 million in incentives in the form of lower electric rates, subsidies for heat pumps and electric vehicle charging stations and other concessions. Ratepayers would receive $140 million to lower their bills – but spread over 40 years – while low-income customers would receive an additional $50 million in breaks. One of the key negotiators on that deal, Maine Public Advocate Barry Hobbins, whose office represents ratepayers at PUC proceedings, said the initial offer was “pretty low compared to where it should be.” Reading the tea leaves of the PUC, Hobbins worked with the Industrial Energy Consumer Group, the Conservation Law Foundation and the Acadia Center to secure an agreement that was crucial in winning Gov. Janet Mills’ support for the project. But opponents said those financial benefits are minimal when spread over 40 years and do not make up for the impacts to western Maine’s scenery, wildlife and tourism industry. Sue Ely, clean energy attorney for the Natural Resources Council of Maine, which is an official intervenor in the regulatory review, said the organization was “deeply disappointed” but not surprised by the PUC decision. Nearly three years have passed since Massachusetts enacted a landmark law to solicit large quantities of clean energy to fight climate change and first selected Northern Pass, a project promising to bring a new source of Canadian hydro power to New England. But 14 months ago, New Hampshire’s siting board unexpectedly rejected Northern Pass. That prompted a hasty pivot to CMP’s runner-up proposal, New England Clean Energy Connect, which beat out a third option planned through Vermont. But by having the PUC permit in hand, CMP can at least aspire to bring the project on line as planned in 2022. Thorn Dickinson, vice president with CMP parent company Avangrid Networks, said the company hopes to have all major permits in hand by year’s end so construction can begin. Public hearings for state environmental permits were held last week, and CMP hopes to have permitting decisions from the Department of Environmental Protection and the Land Use Planning Commission in the fall. CMP already owns or has rights to all of the land along the 145-mile corridor in Maine, much of which is commercial forestland. Thursday’s decision by the three commissioners wasn’t a surprise. Two weeks ago, the PUC staff issued a recommendation report to the commission, outlining why the project should be approved. Vannoy said commissioners had to balance the potential impacts with the “significant benefits” to the state. He said those benefits include displacing regional power generation by fossil fuels that pump climate-warming gases into the atmosphere, improved fuel security in New England and providing “a pathway” for additional megawatts at no cost to the state of Maine. CMP is also facing opposition within the Maine Legislature. Several pending bills seek to interfere with the regulatory process by mandating an independent analysis of the project’s impact on climate change and restricting CMP’s ability to use eminent domain to take land. Another bill, which was the subject of a public hearing Wednesday, would delay any permits until after the Legislature adjourns next year. The fate of those bills is unclear, particularly given Mills’ recent decision to support the project. The sponsor of another bill that would allow the governor to replace PUC commissioners at-will – rather than after their six-year terms expire – used social media to express his displeasure with the commission’s decision. “Time for the Legislature to get involved, hold CMP accountable, give the public a vote, & push for the PUC members to be replaced,” Sen. Justin Chenette, D-Saco, posted on Twitter. But Tony Buxton, an attorney with the Industrial Energy Consumer Group that includes major manufacturers, cautioned lawmakers against politicizing the regulatory process. Staff Writer Tux Turkel contributed to this report.